Walke didn't start out looking at bees. 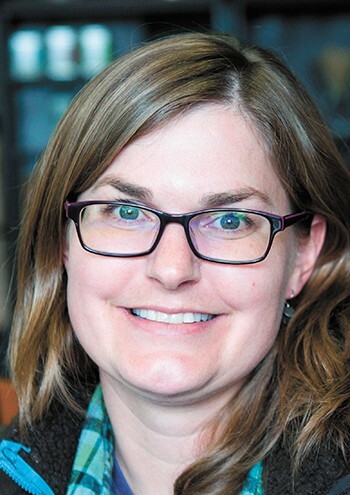 Her doctoral dissertation was focused on the fungal skin diseases infecting frogs and salamanders. Her attention was drawn to the amphibians' microbiomes — the world of bacteria and other microscopic organisms — that were living on the amphibians' skins. The right microbiome seemed to actually protect against the skin diseases. With bee populations struggling as well, applying the study of microbiotics to the hive seemed promising. Fortunately, getting the contents of a bee's digestive system is easy. "It's actually a very convenient dissection method," Walke says. No scalpel necessary. All Walke has to do is grab the stinger of the dead honeybee with forceps and pull. The stinger pulls the guts of the bee with it. Then, using what amounts to a tiny blender, she grinds up the guts in a sterile solution. Then she dilutes the slurry mixture a couple of times. From here, her team can squirt an enzyme into a test tube that amplifies the DNA in the slurry, so it's possible to analyze. And that's when they start running some high-tech tests. "You look at the DNA sequences of all of the different bacteria in there," Walke says. "There are special programs that can identify which bacteria are more abundant in one treatment or another." In other words, Walke and her team can get a readout of the approximate mix of the microbes swimming around a bee's digestive system. And then she can see how that mix changes if you change what the bee eats. One particular aspect of bee hygiene makes her job easier. "They basically eat each other's spit and poop," Walke says. The gut biome of a few bees in the hive can spread to the others. They can also use the bee-gut slurry in another way: spreading it into a petri dish and growing cultures. 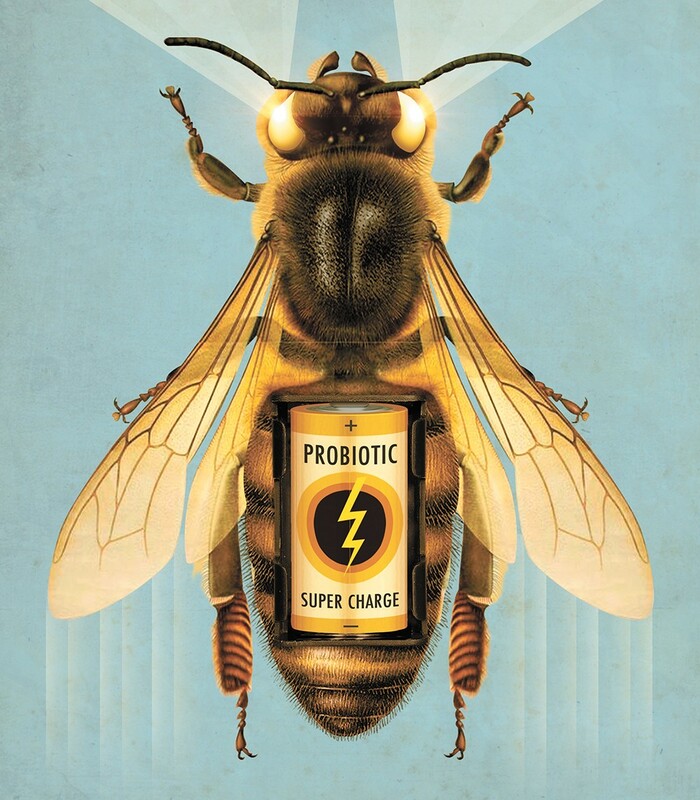 Ultimately, that bacteria can be used to create a nectar or sugar probiotic cocktail that she can feed to the bees, influencing their microbiomes. In fact, there's already a product being marketed to beekeepers called "SuperDFM-Honeybee" from Strong Microbials. Strong Microbials brags that its substance "helps boost immunity," "supports gut health" and is an "excellent digestive aid." The original print version of this article was headlined "Honey and Tummies"